Mouse mats help to deliver smoother mouse performance. For serious gamers, the right gaming surface can actually improve performance and allow you to play more successfully wherever you are. 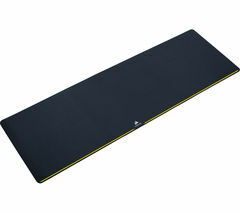 As well as protecting your desk, table or work surface, a good mouse mat can also prevent discomfort and wrist strain. Modern gaming surfaces also help you add colour, lighting, as well as comfort to your computing set up. 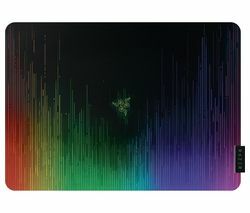 Great mouse performance is essential for web and graphic design, gaming and other complex computer tasks. The more accurate and fast a mouse performs, the better. A quality mouse mat provides you with a sturdy and reliably flat and comfortable surface to work on. This means your mouse will glide without any obstruction, as smoothly as possible and perform at its best. Today’s optical mice can struggle with some patterns and materials, causing patchy mouse performance. By providing a consistent, easy-to-read surface for sensors, a mouse mat solves this problem and leaves you free to use your mouse on any surface you can place your mat on. Non-slip rubber backing prevents movement and keeps your mat in place. Some mouse mats provide enhanced comfort with extra cushioning for the wrist. Gel-filled, foam and memory foam wrist rests promote better hand positioning and help to relieve repetitive strain, especially for those who spend long stretches at the computer. Other mat types are designed specifically for gaming. Gaming mouse mats are available in a range of thicknesses and lengths to suit your gameplay. Optimised for all gaming sensors, some are over three feet long so you can fit a large gaming keyboard on top as well as your mouse. Ensuring the smoothest of surfaces for enhanced speed and precise control, these mats give you a reliable, uniform and portable place to play. Our extensive range includes every major name in gaming, including ROCCAT, Corsair and Razer mouse mats, as well as practical mouse mats and wrist rests to ensure comfortable computing every day.